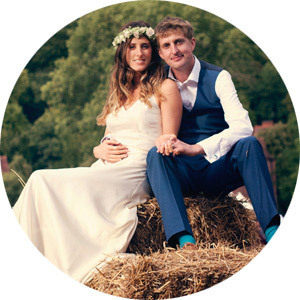 We offer Luxury Bell Tent hire packages for your bespoke Wedding, Festival or Special Event. 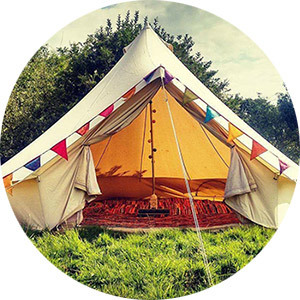 Our professional crew will create a magical Glamping Village for your bespoke event. 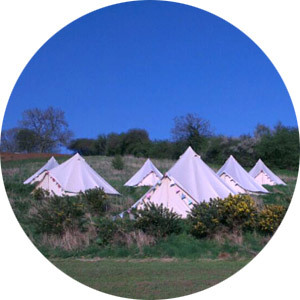 Alongside our fleet of over 100 bell tents, we have a 6m Emperor tent and a 7m Queen Bell, and brand new 8m King tent ideal for an intimate gig venue, chill out or beauty space, reception area or even an extra special Honeymoon Suite. We are based in Sussex but deliver throughout the UK & France. Our bohemian style bells can be equipped with hotel quality bedding & towels, super bright indoor and outdoor solar lights, high quality deckchairs, Kantha stitch cushions and awnings to help make your event stand out from the crowd. If you would like to discuss our tents, an event or design a bespoke package, please do not hesitate to contact us and we will be more than happy to provide you with a personal quote to meet your requirements. We care very much about the environment and have adopted a strong ‘Leave no Trace’ attitude. We encourage all our guests to make sure that all their rubbish and recycling is taken home with them, and to leave the area as nature intended. We purchase fair trade supplies whenever possible and always re-use, repair and re-purpose our stock.